Content creation is always difficult for most people, and even the mere thought of writing content gives most of us bloggers block! If I were to say to you – ‘I’ll draft your article for you, and you can edit it and finish it up…’ – I bet you would start nodding before I even finished the sentence? Of course you would! who wouldn’t? Doesn’t it sound easier to have a draft to edit? Well, that’s the secret. You can create your own draft, and edit it after! If you need awesome blog content fast, and haven’t even written your first blog post yet, don’t despair. This method will help you write super content, in rapid time, about any subject you choose. So – onto the method. I use the 10 minute rule, and have used it for quite some time now, not only for blog content, but for any kind of content and copy that I need to write. Quite often, if I am outsourcing some research, I will provide my assistant with the backbone of an article or a ‘brief’ to help guide them in the right direction and will ask them to use this as the basis for their research. So. If you would like Sparkling posts to be up on your blog within 7 days, follow this post, and learn how! Writing using the 10 minute rule (I learnt the principle of this a while back now during a challenge training video from Ed Dale) begins with a pen and paper or a blank text document on your laptop or pc. Follow these simple steps and become a writing guru. 2. Write as naturally and as quickly as you can for a solid 10 minutes. Everything that comes into your head regarding your chosen topic needs to go down right now. Forget what you learnt at school! Don’t worry about spelling. Forget about grammar. Ignore the typos. Don’t focus on making it flow. Writing in this way enables you to explore the full potential of your creativity. 3. 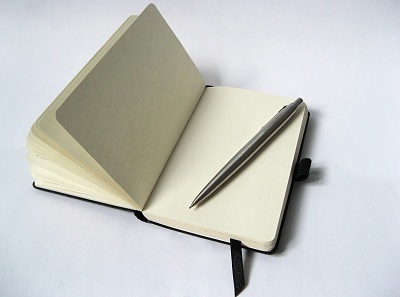 When the time is up, close your document on your laptop/pc, close your notebook or journal. Leave it, and don’t write or edit anything. Don’t even think about it again. 4. Tomorrow morning, open your document, notebook or journal. You now have the backbone of your article! Fresh eyes will give you a much better start, and everything will be there on paper for you to go through and edit! Editing something is always so much easier. It’s funny. I didn’t realise how unproductive I had become before I began using this method for writing. Posts and articles were taking me days to write, and that was after a 2 day brainstorm over post titles! So you see, once you have mastered this technique, you can pretty much knock out content to order! This post isn’t just for Blog content – it’s for any kind of content you need to produce! Maybe an essay, a piece of homework, an article, a newspaper ad, a review, a guest post, even a letter. So, go ahead. Set your timer, write free-flow and edit in the morning. Simple! Are there any methods you find really help you create blog content? Feel free to share them below! How To Get Original Blog Content in 10 Minutes â€” Business Start Up Online Pretty nice post. I just stumbled upon your blog and wanted to say that I’ve truly enjoyed browsing your blog posts. In any case I’ll be subscribing to your rss feed and I hope you write again soon! 10 mins of writing a blog content is not a good idea, i think. Although it helps you finish a content real quick but it might not give enough information about a blog. To write a original blog content, it’s better if you research first about your topic, it’s better to know if someone has already posted the same blog content you are writing and you wont end up just paraphrasing original content. Also, If someone has posted the same topic, think of something that are not included on a topic and make it your original topic. Not everyone can write a good blog content but everyone can write a original content on their own way. I think the angle that I was coming from was to protect people from writers block. Write everything you can in 10 mins, not focusing on presentation, grammar, perfection at all, just the ideas and flow for your post or article – Sleep on it – come back the next day with the basis for a rockstar style presentation that just needs modification and fine tuning. I would never promote paraphrasing original content, and quite often, spending too much time researching and gathering information in the initial stages of preparing your article causes this. Thanks for the comments though Matt, looking forward to lots more here. I liked your article, but I agree with Matt. I research all of my topics, especially those regarding technology. Advancements are occurring in all areas of business development, communications, social media, and software tools. I owe it to my readers to give them the most up-to-date information and to provide timely resources. You point about writing your draft without getting hung up in the editing details is really on target. I used to get stuck on a phrase, and the whole article was held up by being snagged on a few words! Thanks for the article. You did make some good recommendations!